One reason I’m crazy about points and miles is it affords my family opportunities that we wouldn’t otherwise have. The points hater and I just got back from a long weekend in Ireland, what might be our last trip in awhile. Still, without earning miles from credit card bonuses, it probably is a trip we never could have taken. In this post I’m going to outline how we got over there, to show that it doesn’t take THAT much work or effort to travel cheaply. In subsequent posts I’ll get to some pictures and experiences from the trip, plus recommendations for anyone ever interested in visiting Ireland. Why is this series called Shireland? Hopefully the pictures will speak for themselves – plus I’m a nerd. 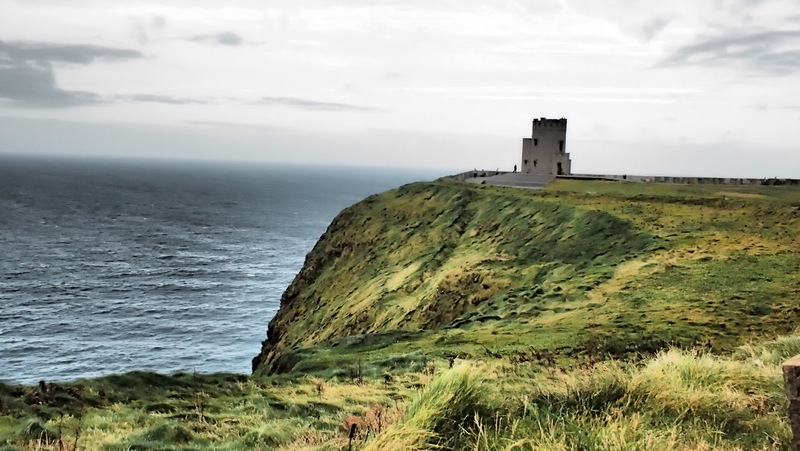 About two weeks ago, I looked into how much it would cost to fly round trip to Ireland. I was finding fares around $650 round trip, so $1300 for the two of us. While we’re not poor by any means, we also can’t afford to blow $1300 on airfare for a weekend. Thus, without points, we probably would have just spent this weekend away in New Hampshire or Maine (which are great too!). So how did we get over there? Back in May, I applied for the Chase British Airways Visa for both of us. We each got 50K miles for signing up, and will get another 50K miles on our account anniversary (this offer is now expired). The annual fee on the card is $75, so essentially, we each got 100,000 Avios (British Airways miles) for $150! What are those 100,000 worth? Well, two business class tickets to Ireland on Aer Lingus only cost 100,000 Avios plus taxes and fees! We actually had already used 60K of the 100K we earned this year flying from Bali to Hong Kong on Cathay business class earlier this summer, so we only had 40,000 Avios left plus about 10,000 we had earned from spending. Not a problem, because American Express Membership Rewards was running a transfer bonus of 40% when you transferred membership rewards points to Avios. Thus, I transferred 36K MR points into ~50K Avios, and we had enough for the redemption. After that, it was pretty straightforward – I called up British Airways (you can’t book Aer Lingus award flights online), and we booked the flight for 100,000 Avios and $290 in taxes and fees. Thus, two round trip BUSINESS class tickets to Ireland cost us $440: total. That is how much you might need to spend to get to California on a Friday night in coach. We decided to fly into Shannon, then drive across the country to Dublin and fly home from there. – We called up British Airways to find our flights since they couldn’t be booked online, and booking cost us an additional $290 in taxes and fees. Flying roundtrip to Ireland in coach for $1300? Out of our price range. Flying roundtrip to Ireland in business for $440? That’s what I’m talking about. In the next post I’ll talk about how that business class flight really helped us enjoy our first day in Ireland a lot more. Inspiring! I feel like I should do this for our next vacation, wherever that may be, as we already have MR points and can plan spending on a new card.